Are you looking for a simple way to add a unique flavor to your food? Tea smoking is a centuries-old culinary technique known to add a delicate smoked flavor to chicken, pork, seafood and other meats. Food smoked with tea leaves originated in ancient China, where a mixture of tea leaves and uncooked rice would be heated in a wok until it smoked. The trapped smoke would then be used to cook and flavor their dishes. Since tea smoking only requires a few tools, it is a quick and easy way to enhance the flavor of your food. Each type of tea has its own unique notes and works best with certain meat. Black teas are perfect for red meats, turkey or salmon and infuses deep, dark caramel notes. If you’re looking for a spicy kick, chai teas are your best bet. For an extra depth of flavor, herbal teas can add floral notes while green teas impart fragrant grassy notes, pairing it well with white fish or chicken. For a great source of rich tasting, full bodied tea products, check out the tea collection offered by Finest English Tea. You’ll find a wide range of tea products that include everything from traditional English black teas, green teas, herbals, fruit infusions and more! Naturally tender meats like pork belly, chicken thigh, salmon and duck are usually selected for tea smoking. However, your options are endless so experiment with different tea types and find out which one you like the best. Vegetables can also be infused with smoky tea flavor and will taste delicious! To get started, follow these simple steps and immerse yourself in the art of tea smoking. You will need 3-4 layers of foil to line your wok. The foil edges should overhang the sides of the wok. 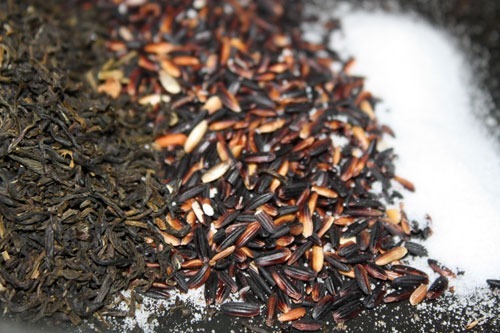 Combine loose tea leaves with uncooked rice in equal parts. Feel free to add seasonings, spices and herbs to the mix. 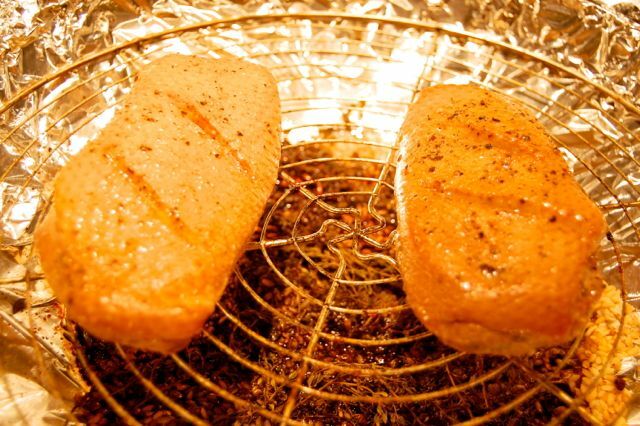 Brown sugar can also be added to help speed up the smoking process. Evenly spread the mixture over the base of the wok/pan. Heat it up until the tea leaves begin to smoke. Position the wire rack/steamer around 5 cm above the tea mixture. Place your food on the rack and then cover it with the lid or foil until the food is thoroughly cooked. Precooking your meat may be a good idea if it’s extra thick. Be careful not to let the tea leaves smoke too long or you may end up with the smoky flavor becoming too bitter. Once you’ve perfected the art of tea smoking, you can start experimenting with the various tea types and add a new dimension of flavors to your food. This entry was posted in Uncategorized and tagged Tea Smoking: A Unique Flavor Enhancer on 10/20/2017 by Andrew S.. Thanks for sharing this. I Love Tea. I want to try this.